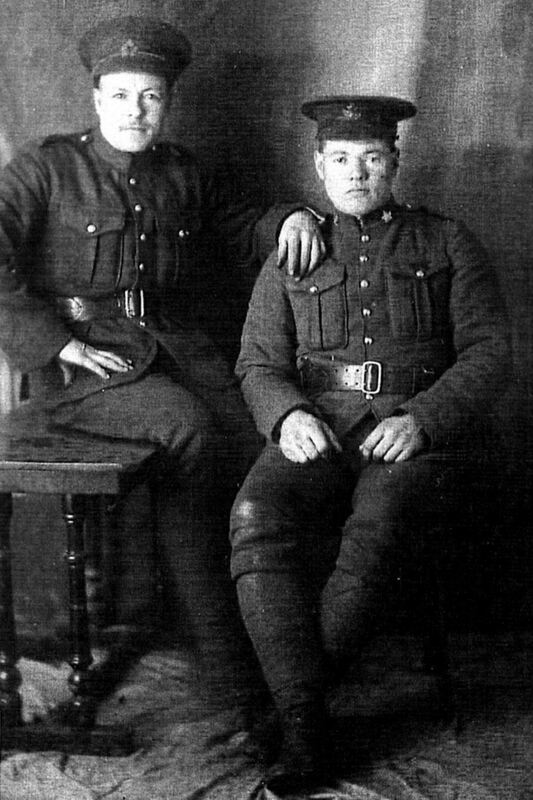 We have recently received a wealth of information about two brothers-in-law who were listed on our WWI - Barrie Township page: Elijah Thompson (regimental #835116) and Norman Curtis Selman (regimental #835194). Our thanks to Angela Churchill who sent us this material about her great-grandfather Elijah, who was married to the sister of her great-great-uncle Norman. 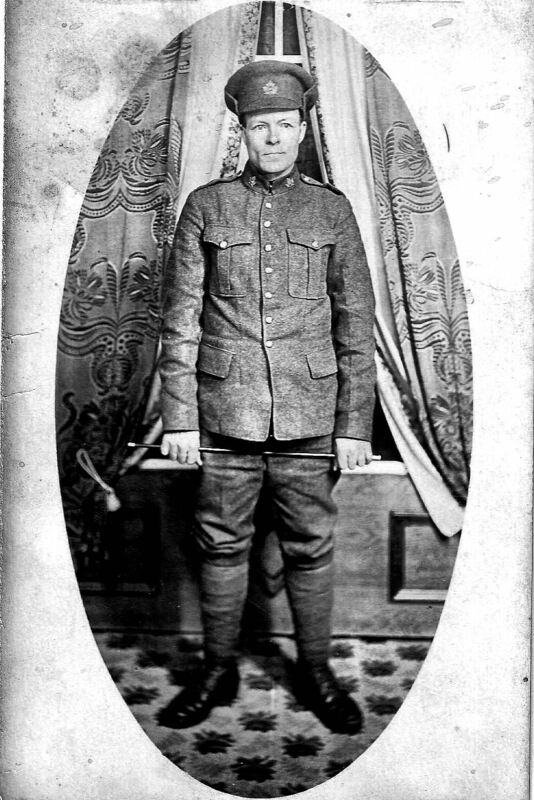 Elijah Thompson was born in Frontenac County at Harlowe, but he was working in Kaladar Township in 1916 when he enlisted at Flinton with the 146th Battalion, which was raised from the counties of Frontenac, Lennox and Addington. He was taken on strength with the 20th Battalion, with whom he served in France and Belgium for eight months, surviving the battles at Vimy Ridge, Hill 70 and Passchendaele. He was wounded several times, but twice severely: a bad wound in his left leg and the loss of part of his left arm. 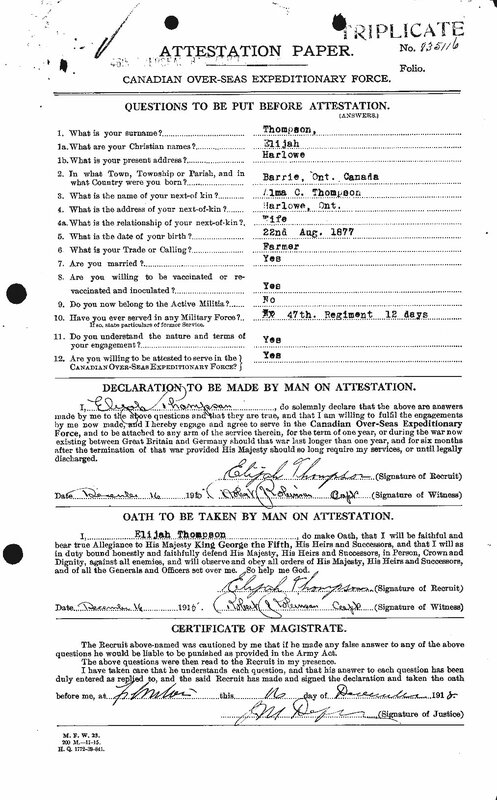 He was invalided home in March of 1918. Norman Curtis Selman was born in Kennebec Township in Frontenac County. Prior to the war his family had lived for a while at Northbrooke, but when the war began they were living on their family farm at Harlowe. 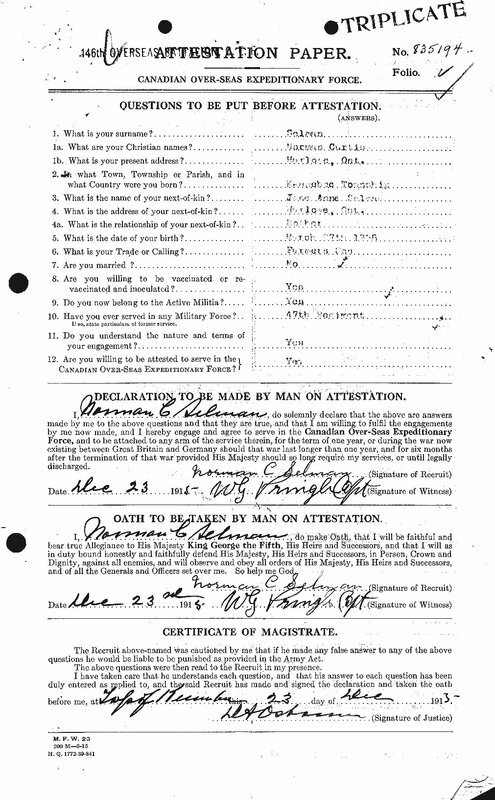 Norman Selman was living and working in Harlowe when he enlisted in the 146th Battalion on 23 December 1915, but as his attestation papers show (below), he had previous military experience with the 47th Regiment. 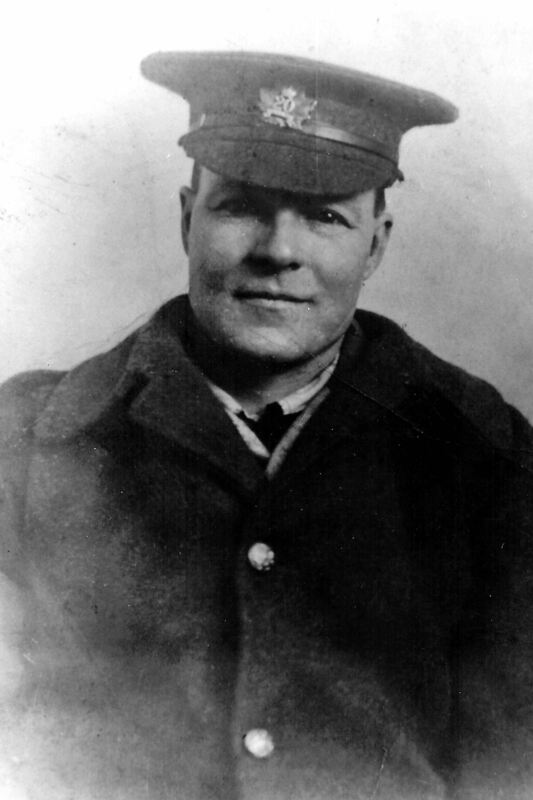 Angela also sent two photos of Elijah Thompson after the war. She notes that he always stood just behind someone or crossed his arms in photos, so that you would never know he was missing part of his arm if you weren't looking for it. 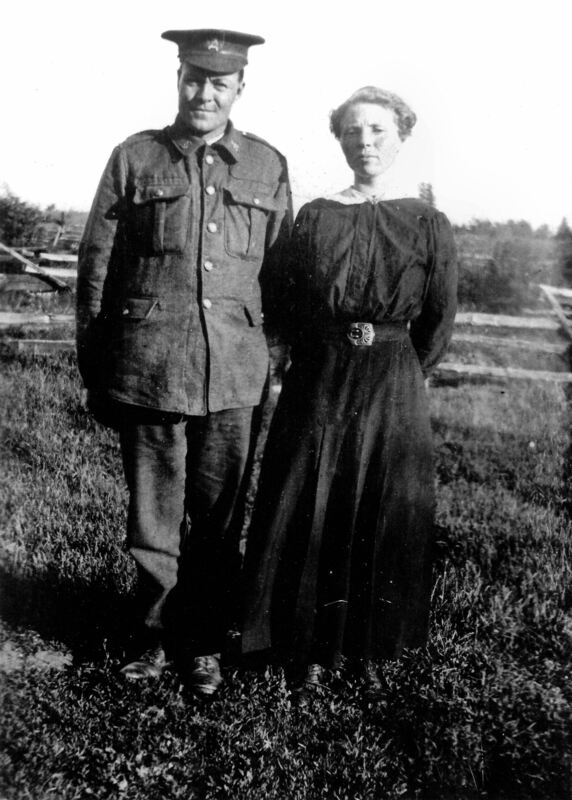 To the right is a photo taken after the war, of Elijah Thompson with his wife Alma Selman Thompson, who was Norman Curtis Selman's sister. 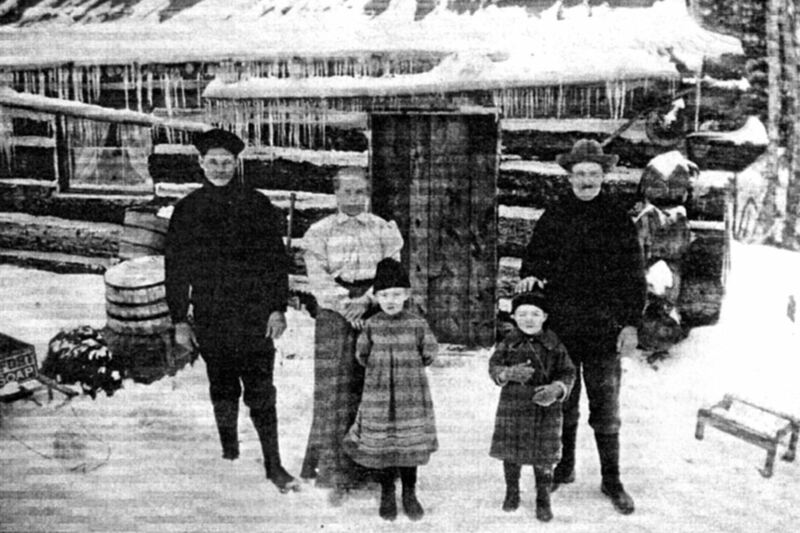 In the photo below, taken before the war in 1907, we see the Selman family, likely in front of the family homestead: Norman is at the far left and to the right is first Jane Anne Woodcock Selman (the mother of both Norman Curtis and Alma Selman Thompson) then two children, who are thought to be the much younger siblings of Norman: Inez (born 1900) and Recie (born 1902). Recie would later serve during WWII along with Elijah's son Clarence Clayton “Pat” Thompson in the Hastings and Prince Edward Regiment (aka the “Hasty Pees"). On the far right in this photo is Elijah Thompson. 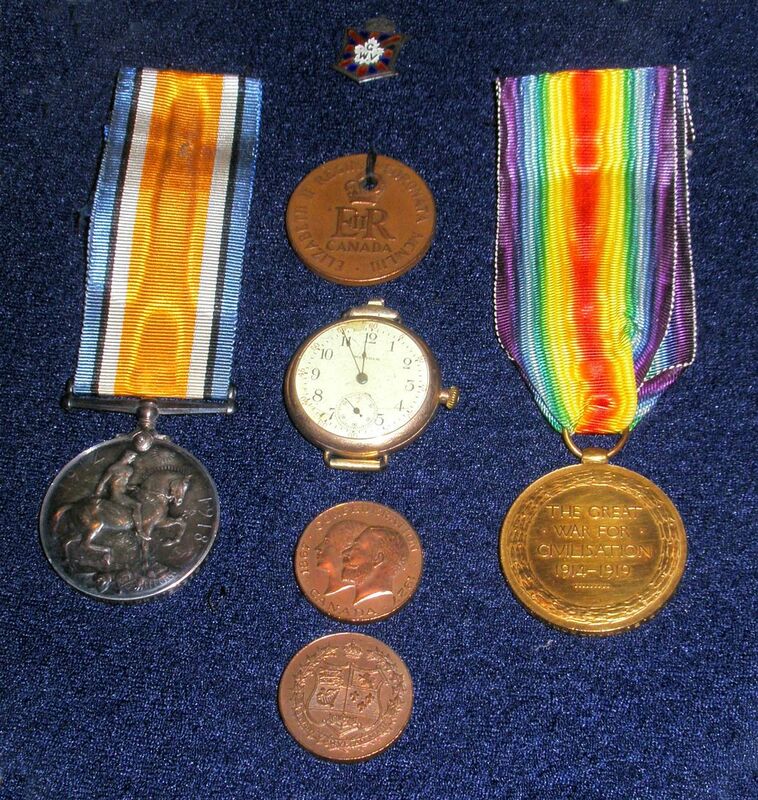 Angela also sent a photo (right) showing Elijah Thompson's medals and a few items which he had carried during WWI. One last note: Elijah's great-grandparents were the cartographer and explorer David Thompson and his wife Charlotte Small.